Pennsylvania slot machine casino gambling consists of a maximum of fourteen casinos, as approved by the Pennsylvania Legislature in 2004. These locations include seven racinos, five standalone casinos, and two casino resorts. One racino and one standalone casino have yet to open. Pennsylvania law requires gaming machines return a minimum payout return of 85%. Actual annual payout returns have most recently ranged from 89.22% to 90.95% at all currently-open Pennsylvania casinos. 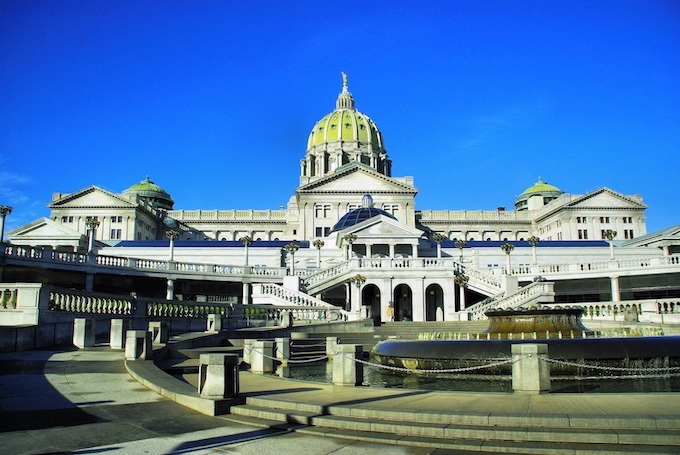 Of interest not only to online slots gamblers, the Pennsylvania House passed a law in 2017 to legalize casino gambling at truck stops, airports, and online. It was signed into law by Governor Tom Wolf on October 30, 2017. The bill also authorized ten new satellite casinos, with some location restrictions. Pennsylvania Slot Machine Casino Gambling 2018: Pittsburgh. The minimum legal age for gambling in Pennsylvania casinos is 21. For the state lottery, pari-mutuel wagering, and bingo it is 18. The Pennsylvania Race Horse Development and Gaming Act was passed in 2004, legalizing slot machines at 14 locations beginning in 2006. Since July 2010, casinos in Pennsylvania have been allowed to operate table games. The racinos and standalone casinos are allowed 5,000 slot machines and 250 table games, while the casino resorts are limited to 600 slot machines and 50 table games. The ten additional casinos will be so-called satellite casinos, operated by an existing owner of a Pennsylvania casino but limited to being within 25 miles. Municipalities have the option to prohibit such a casino. These satellite casino licenses would allow up to 750 slot machines and 30 table games. Truck stops may have up to 5 slot machines, again assuming approval from the county they are located within. Casino operators may operate a gambling parlor at any of Pennsylvania’s international and regional airports, assuming agreements can eventually be reached with an airport authority. Pennsylvania Slot Machine Casino Gambling 2018: Pennsylvania State Capital Building. It is legal to privately own a slot machine in the state of Pennsylvania if it is 25 years old or older. The Pennsylvania Gaming Control Board (PGCB) is the governmental agency of the Commonwealth of Pennsylvania responsible for overseeing slot machines and casino gambling in the state. The PGCB does not oversee the state lottery or charitable gaming. 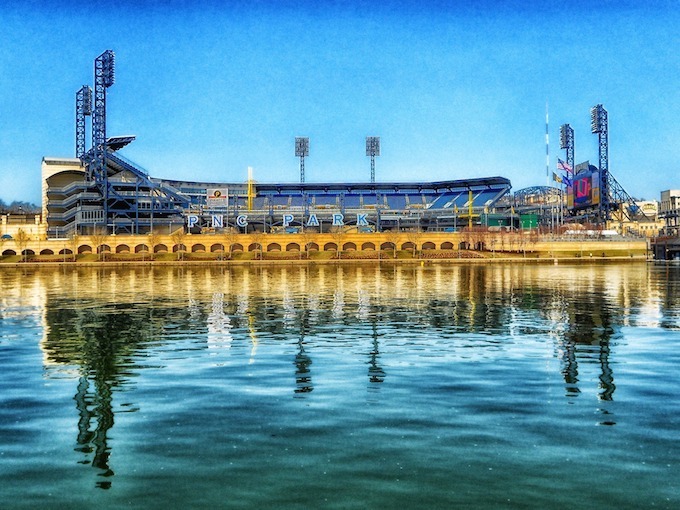 Pennsylvania Slot Machine Casino Gambling 2018: PNC Park, Home of the Pittsburgh Pirates. Of the fourteen locations legally allowed casinos in Pennsylvania, two are not yet open. Also, none of the ten recently approved satellite casinos have yet to open. The last of the standalone casinos, South Philadelphia Live! Hotel and Casino, is expected to open in late 2018. It will be located at 900 Packer Avenue, close to Lincoln Financial Field, Citizens Bank Park, and Wells Fargo Center. The largest casino in Pennsylvania is the Parx Casino and Racing. It has 3,500 gaming machines and 130 table games. The second largest is Sands Casino Resort Bethlehem having 3,000 gaming machines and 200 table games. The 12 currently open Pennsylvania casinos to follow include annual payout return percentages from mid-2016 through mid-2017. The casino with the highest payout return was Parx Casino and Racing with 90.95%, while the casino with the lowest return was Hollywood Casino at Penn National with 89.22%. To gamble within a casino resort, players must be a guest of the casino resort. Put another way, the gaming floors within the casino resorts are not open to the general public. 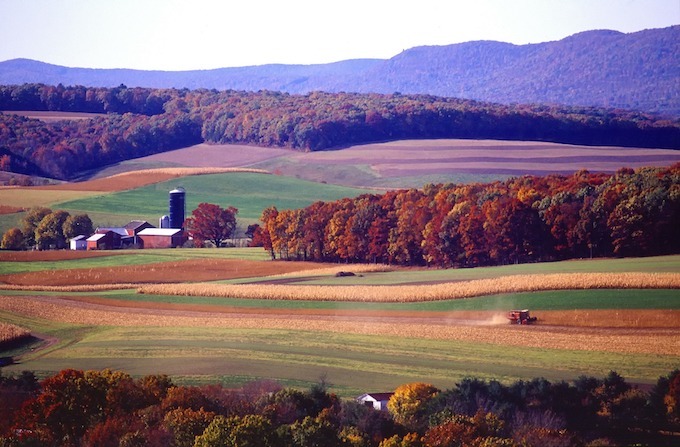 Pennsylvania Slot Machine Casino Gambling 2018: Pennsylvania rolling farmlands. Pennsylvania slot machine casino gambling consists of a maximum of fourteen casinos, as approved by the Pennsylvania Legislature in 2004. These locations include seven racinos, five standalone casinos, and two casino resorts. One racino has yet to open. The remaining standalone casino, located in South Philadelphia, is expected to open in late 2018. Pennsylvania law requires gaming machines return a minimum payout return of 85%. Actual annual payout returns have most recently ranged from 89.22% to 90.95%. Online gambling is now legal, although the sports betting aspect of online gambling is awaiting changes to federal law before it will actually be legal in Pennsylvania. Previous: Oregon Slot Machine Casino Gambling 2018 – Oregon slot machine casino gambling consists of 9 Native American tribal casinos with VLT-style slot machines run by the Oregon Lottery. Six VLTs are legally allowed in bars, with racinos allowed up to 10 VLTs. Maximum bet and payout is $2.50 and $600. As of 2017, Oregon VLTs had an annual payout return of 92.22%. Next: Puerto Rico Slot Machine Casino Gambling 2018 – Prior to the devastation caused by Hurricane Maria in late September 2017, Puerto Rico slot machine casino gambling consisted of 16 casinos. There were primarily associated with well-known hotel chains, including Embassy Suites, Hilton, Holiday Inn, Hyatt, Marriott, Radisson, Ritz-Carlton, Westin, and Wyndham.